de Klerk, E, Laurent, M, & Sun, Z. (2014). 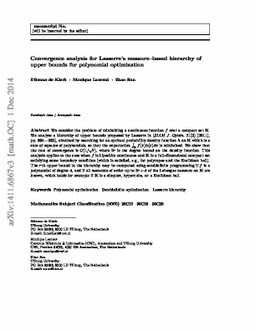 Convergence analysis for Lasserre's measure-based hierarchy of upper bounds for polynomial optimization. arXiv.org e-Print archive. Cornell University Library .